Vado serves up a new bangin’ street anthem with, “Look Me In My Eyes,” featuring Rick Ross and French Montana. The New York rapper keeps it all the way thorough with his signature street tales and drug coded bars. 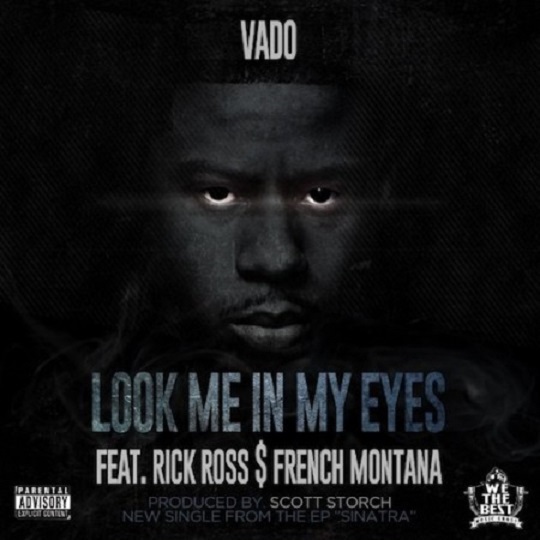 “Look Me In My Eyes” is Vado’s latest single which will be featured on his upcoming EP, Sinatra. This entry was posted in Audio and tagged French Montana, hip hop, look me in my eyes, new york, rap, Rick ross, Vado. Bookmark the permalink.